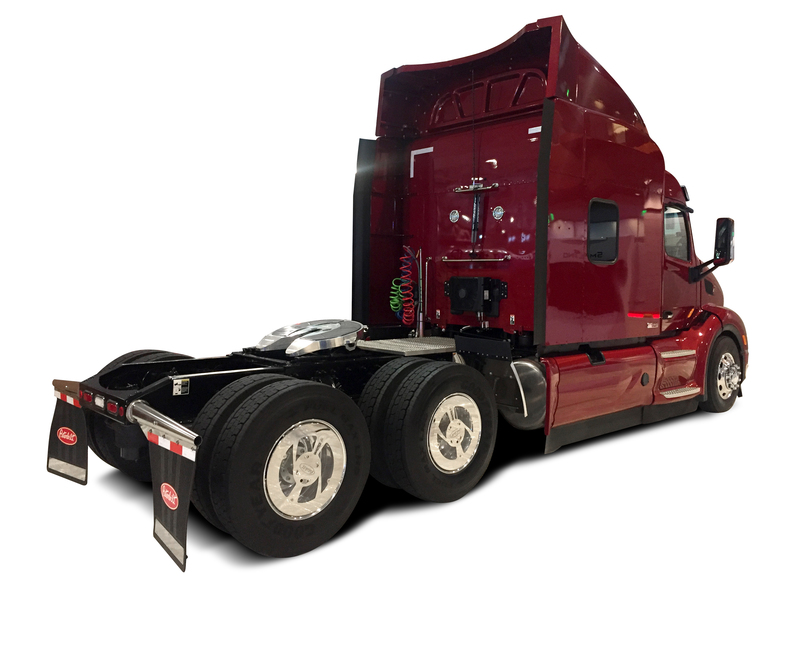 Peterbilt will offer enhanced exterior appearance and serviceability for their Model 579 trucks with RealWheels Twist & Lock Aero Wheel Covers. GURNEE, IL (May 4, 2017) — RealWheels Corporation (RWC) is pleased to have their new Twist & Lock Aero Covers with Windows offered through Peterbilt on Model 579 Tractors. These new Twist & Lock Aero Covers maintain the same clear windows to view the wheel and wheel end components, but are now offered standard in a Mirror Finished Stainless Steel to enhance exterior appearance. The design also allows for quicker installation and removal without the use of tools for improved serviceability. The patent pending Twist & Lock mounting system features a large diameter, spring-loaded top plate that provides quick and secure cover mounting. The engineering team at RealWheels has developed this bracket design to work on all trucks and trailers with 22.5” or 24.5” dual or wide base wheels. The American-made, mirror-finish Aero Stainless with Windows are the only one on the market to combine a lightweight stainless cover with a high-impact, clear polycarbonate viewing window. RealWheels’ smooth designs are engineered to reduce drag by closing off the deep well cavity of the wheel. Smartway J1321 testing shows a fuel cost savings of 1% to 2%. Real-world testing by fleets that are running RWC’s Aero Covers reported even greater fuel savings. RealWheels Corporation has been designing and producing wheel covers, hub covers and other wheel accessories for commercial trucks and specialty vehicles for over thirty-five years. 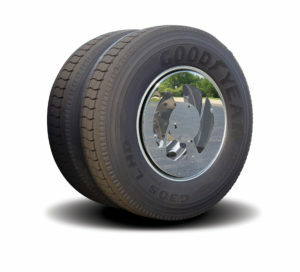 For more information on the Twist & Lock Aero Covers, visit https://www.realwheels.com. Peterbilt Motors Company, located in Denton, Texas, has a global reputation for superior quality, industry leading design, innovative engineering and fuel efficient solutions, and is recognized as the “Class” of the industry. Peterbilt provides a comprehensive array of aftermarket support programs through its 350-plus North American dealer locations that complement its full lineup of on-highway, vocational and medium duty products, including alternative fuel vehicles. For more information about Peterbilt, visit http://www.peterbilt.com.